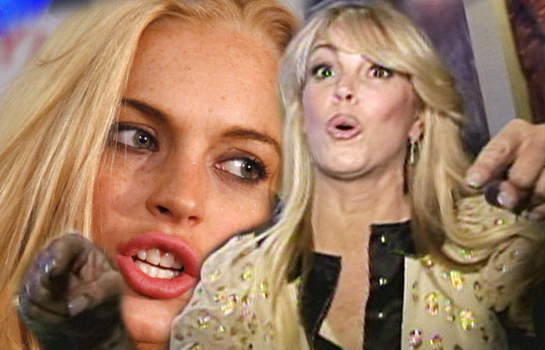 Lindsay Lohan is furious that her mother has signed on for the next cycle of UK "Celebrity Big Brother" and plans to move to London where Lindsay has been staying. Lindsay Lohan believes there's only room for one Lohan in England, and that's why she's waging war against her mother's plan to move there for UK TV fame and fortune. We've learned Dina is in the final stages of negotiations to appear on "Celebrity Big Brother" in the UK. It's a big show there ... Gary Busey won last season. Dina was so excited, she called Lindsay Thursday to say how great it was going to be that they could spend time together. We're told Lindsay flipped out and began screaming at her mom, saying she had no right to come to England, where Lindsay went to escape. They fought on the phone and then fired angry texts back and forth. Lindsay doesn't want Dina in England, partly because she feels her mom is a bad influence and partly because she's just bad luck. Lindsay says she's doing well and doesn't want it screwed up. As for Dina, she feels Lindsay has no right to exile her from England. Here's what we don't get. Why can't Dina come to England and stay away from Lindsay. Too easy. so...being the mother of a has-been celebrity qualifies you to be a "celebrity"? ok.